Mars Why live on Earth when you can live on Mars? Well, strictly speaking, you can’t. Mars is a completely hostile environment to human life, combining extreme cold with an unbreathable atmosphere and intense radiation. And while it is understood that the planet once had an atmosphere and lots of water, that was billions of years ago! And yet, if we want to expand into the Solar System, we’ll need to learn how to live on other planets. And Mars is prime real-estate, compared to a lot of other bodies. 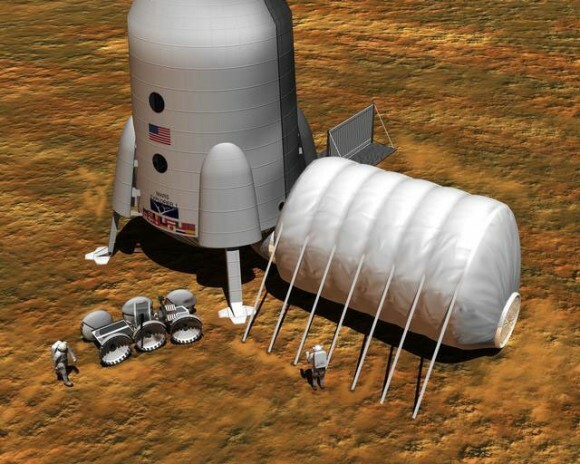 So despite it being a challenge, given the right methods and technology, it is possible we could one day live on Mars. Here’s how we’ll do it. Let’s face it, humanity wants (and needs) to go Mars, and for several reasons. For one, there’s the spirit of exploration, setting foot on a new world and exploring the next great frontier – like the Apollo astronauts did in the late 60s and early 70s. We also need to go there if we want to create a backup location for humanity, in the event that life on Earth becomes untenable due to things like Climate Change. We could also go there to search for additional resources like water, precious metals, or additional croplands in case we can no longer feed ourselves. In that respect, Mars is the next, natural destination. There’s also a little local support, as Mars does provide us some raw materials. The regolith, the material which covers the surface, could be used to make concrete, and there are cave systems which could be converted into underground habitats to protect citizens from the radiation. Elon Musk has stated that the goal of SpaceX is to help humans get to Mars, and they’re designing rockets, landers and equipment to support that. Musk would like to build a Mars colony with about 1 million people. Which is a good choice, as its probably the second most habitable place in our Solar System. Real estate should be pretty cheap, but the commute is a bit much. And then there’s the great vistas to think about. Mars is beautiful, after a fashion. It looks like a nice desert planet with winds, clouds, and ancient river beds. But maybe, just maybe, the best reason to go there is because it’s hard! There’s something to be said about setting a goal and achieving it, especially when it requires so much hard work and sacrifice. Yeah, Mars is pretty great… if you’re not made of meat and don’t need to breathe oxygen. Otherwise, it’s incredibly hostile. It’s not much more habitable than the cold vacuum of space. First, there’s no air on Mars. So if you were dropped on the surface, the view would be spectacular. Then you’d quickly pass out, and expire a couple minutes later from a lack of oxygen. There’s also virtually no air pressure, and temperatures are incredibly cold. And of course, there’s the constant radiation streaming from space. You also might want to note that the soil is toxic, so using it for planting would first require that it be put through a decontamination process. Assuming we can deal with those issues, there’s also the major problem of having limited access to spare parts and medical supplies. You can’t just go down to the store when you’re on Mars if your kidney gives out or if your sonic screwdriver breaks. There will need to be a constant stream of supplies coming from Earth until the Martian economy is built up enough to support itself. And shipping from Earth will be very expensive, which will mean long period between supply drops. One more big unknown is what the low gravity will do to the human body over months and years. At 40% of Earth normal, the long-term effects are not something we currently have any information on. Will it shorten our lifespan or lengthen it? We just don’t know. There’s a long list of these types of problems. If we intend to live on Mars, and stay there permanently, we’ll be leaning pretty hard on our technology to keep us alive, never mind making us comfortable! In order to survive the lack of air pressure and the cold, humans will need pressurized and heated habitats. 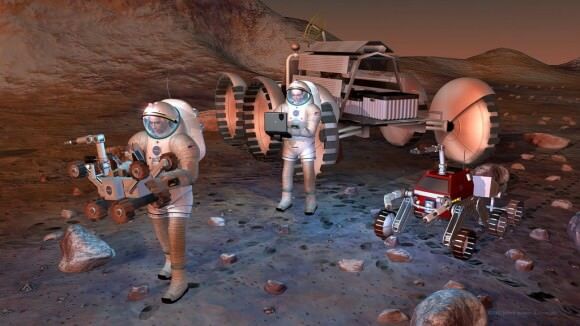 Martians, the terrestrial kind, will also need a spacesuit whenever they go outside. Every hour they spend outside will add to their radiation exposure, not to mention all the complications that exposure to radiation brings. For the long term, we’ll need to figure out how to extract water from underground supplies, and use that to generate breathable air and rocket fuel. And once we’ve reduced the risk of suffocation or dying of dehydration, we’ll need to consider food sources, as we’ll be outside the delivery area of everyone except Planet Express. Care packages could be shipped up from Earth, but that’s going to come with a hefty price tag. We’ll need to produce our own food too, since we can’t possible hope to ship it all in on a regular basis. Interestingly, although toxic, Martian soil can be used to grow plants once you supplement it and remove some of the harsher chemicals. NASA’s extensive experience in hydroponics will help. To thrive on Mars, the brave adventurers may want to change themselves, or possibly their offspring. This could lead to genetic engineering to help future generations adapt to the low gravity, higher radiation and lower air pressure. And why stop at humans? 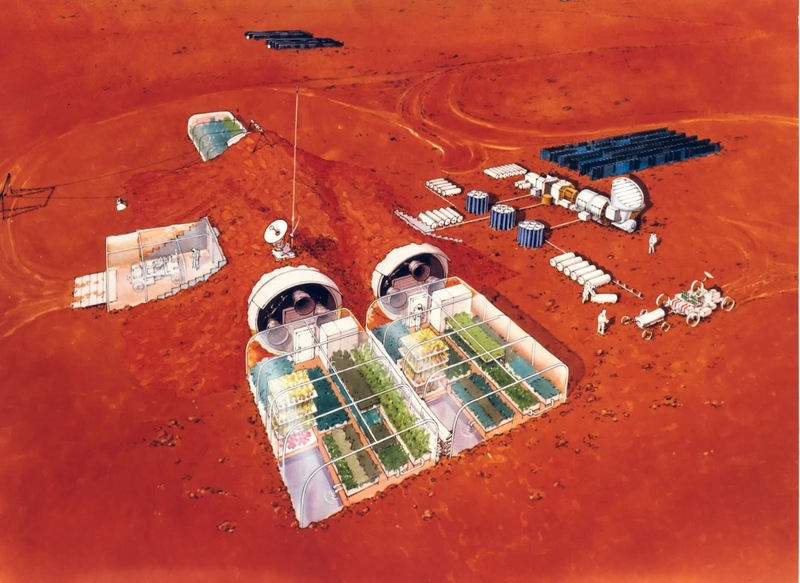 Human colonists could also adapt their plants and animals to live there as well. Finally, to take things to the next level, humanity could make a few planetary renovations. Basically, we could change Mars itself through the process of terraforming. To do this, we’ll need to release megatons of greenhouse gasses to warm the planet, unleashing the frozen water reserves. Perhaps we’ll crash a few hundred comets into the planet to deliver water and other chemicals too. This might take thousands, or even millions of years. And the price tag will be, for lack of a better word, astronomical! 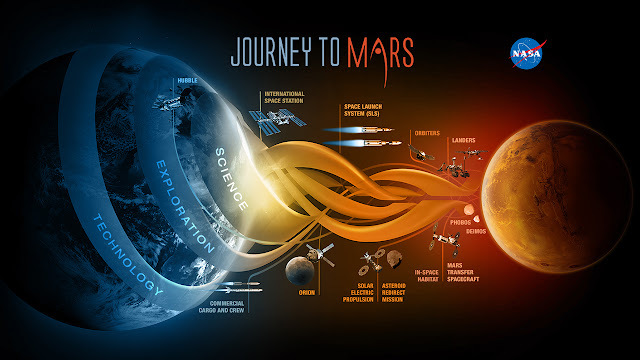 Still, the technology required to do all this is within our current means, and the process could restore Mars to a place where we could live on it even without a spacesuit. And even though we may not have all the particulars worked out just yet, there is something to be said about a challenge. As history has shown, there is little better than a seemingly insurmountable challenge to bring out the best in all of us, and to make what seems like an impossible dream a reality. We choose to go to the Moon! … We choose to go to the Moon in this decade and do the other things, not because they are easy, but because they are hard; because that goal will serve to organize and measure the best of our energies and skills, because that challenge is one that we are willing to accept, one we are unwilling to postpone, and one we intend to win.